Use to permanently bond a monument to its base and to repair broken tablets, monuments and marble. 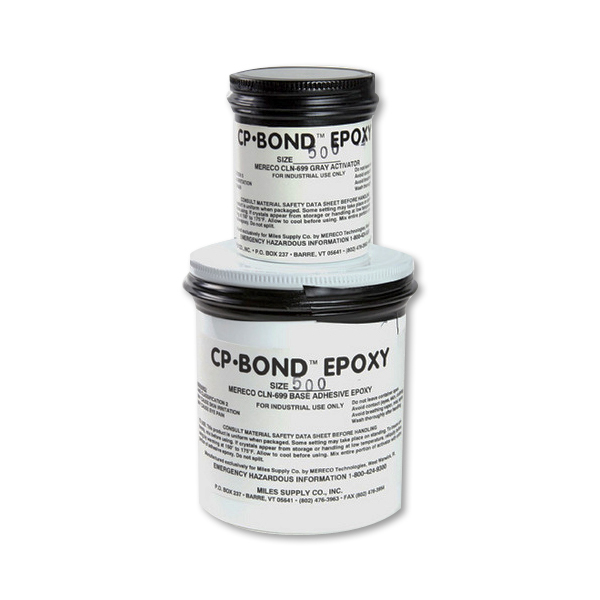 CP Bond is better suited for vertical surfaces due to its thicker consistency that will not run. Widely used for the assembly of mausoleums. We stock 250 and 500 gram kits, but can special order 2, 3, 4, 6, or 8 lb. kits. The entire contents of the kit must be mixed at the same time and will allow a working time of approximately 4 to 6 hours. Temperatures under 50F increases tac time, and over 100F decreases tac time. 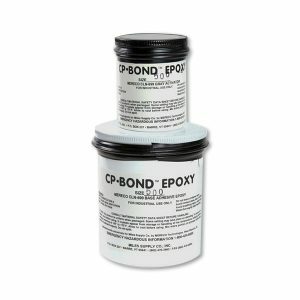 CP Bond takes 24 hours to cure completely. A 250 gram kit will set up to 3 standard size monuments (3′ x 2′, 6″ x 8″), and a 500 gram kit will set up to 6 standard size monuments.